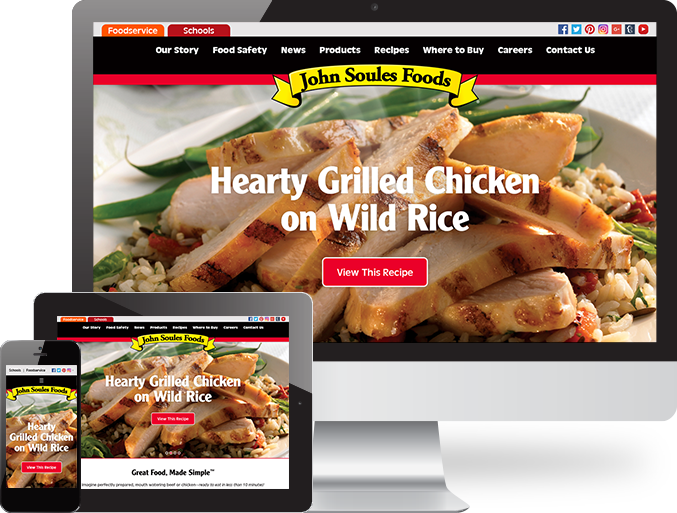 When you first visit John Soules Food, you’ll reach a homepage that has several user-friendly features meant to inform and help navigate the customer. Some of these features include easily accessible links to company information, products and contact information. A few more features that are more interactive for the customers include an integrated search engine for recipes provided by the company. Customers can search recipes based on the company’s products or something as simple as searching “Chicken”. They’ll then have options in a drop-down scrolling menu. From there they gain access to a full-recipes, including the products needed and nutritional information. This can work for a variety of businesses to display products or information. Another interactive feature is having heavily integrated social media feeds directly accessible from the homepage. With a feature like this, your live posts from sites such as Twitter, Instagram and Facebook will update and be shown automatically for customers to view. This provides an opportunity for a user to connect outside of the website, and to see what’s going on with your business on a daily basis once connected. Besides the typical customer, the kind that’s shopping in stores that is, there’s companies that order in bulk for businesses or even ordering food for schools. For these businesses, the design of John Soules Food really comes into play. When you direct your attention to the very top of the website, you’ll notice two tabs that provide links to sub-websites, these are intended to target food service and education customers that are not retail consumers, thus being more effective in displaying the information needed for them. Through these “sub-websites” you can find easily accessible information through a database like section that provides product lists, sales sheets and additional information on said products. Each being more detailed and focused on the customer and market being addressed. Whatever your website and marketing needs are, The Marcom Group is more than capable of finding a design that can meet the standards of your business and provide a unique experience for both you and your customer base. 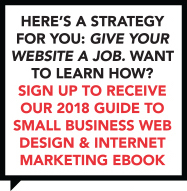 Want to work with the very best in web design and internet marketing? Contact our creative team for a free in-person consultation so we can help you to chart a path forward!